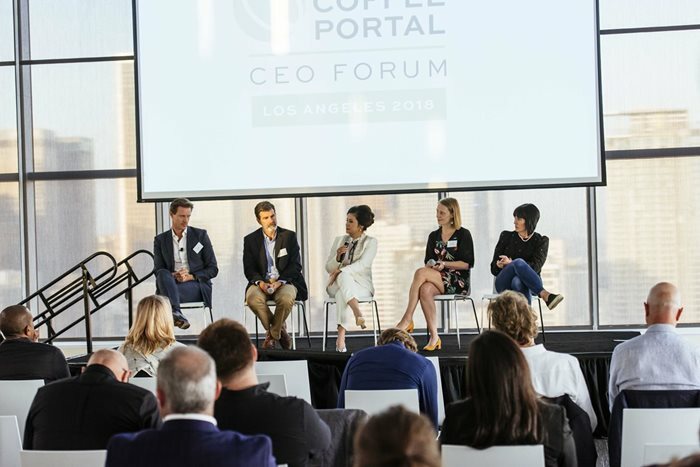 Leaders from across the coffee industry gathered at the South Park Center, Los Angeles, to discuss the latest trends, development and strategies propelling their businesses to success. Here’s a round-up of highlights from an inspiring day of debate and analysis from the global coffee community. Coffee isn’t just a commodity, it touches lives every day. The reach of the coffee shop industry extends well beyond the café door, to the streets of the communities it serves and thousands of miles to the farmers who produce the incredible coffees we cherish. Coffee has the power to change lives and that’s why ‘Good Citizen, Good Business’ was the theme of this year’s CEO Forum. As the global coffee industry continues to thrive as a commercial and cultural powerhouse, delegates examined what increasing consolidation means for the sector and the importance of coffee’s growing influence on citizens around the world. Whether protecting the environment, promoting ethical trade or providing training and skills to empower lives, coffee can be a force for good in today’s challenging global climate. 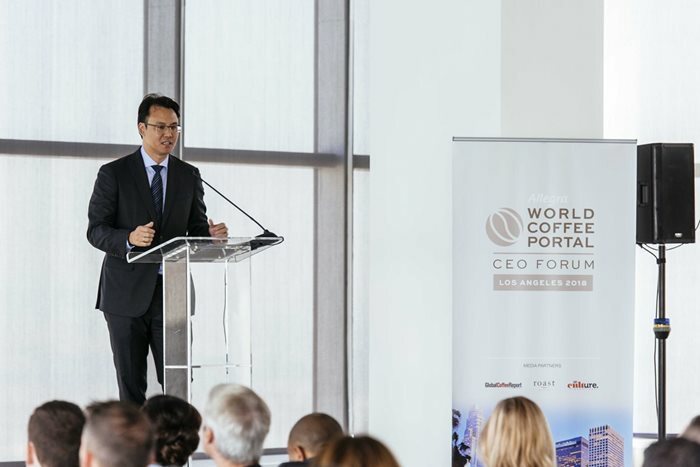 Allegra Group CEO, Jeffrey Young, welcomed attendees by presenting highlights from World Coffee Portal’s Project Café USA 2019 report, which reveals healthy 4.9% sales growth in the US coffee shop market. In 2018, the $45bn US coffee industry has been shaped by the growing ubiquity of artisan principles, huge market consolidation and an in increased focus on ethics and sustainability against the backdrop of the growing farmer profitability crisis. Allegra forecasts this huge market will be worth $60bn in the next five years across some 45,000 outlets. But while 71% of industry leaders reported increased sales, Young cautioned those businesses unable to adapt to digital, mobile and seamless integration demands of Millennials Generation Z would struggle in the future market place. Every business must “understand the new consumer landscape in order to survive,” he said. This new business era is embodied in a new crop of operators in the US and around the world, scaling boutique, artisanal coffee shop experiences. But Young stressed that the 5th Wave isn’t just about connoisseurism – “whether you’re Dunkin’ Donuts or Bluestone Lane. The experience economy is booming,” he said. But how can we define boutique at scale and what will this new wave of coffee shops look like? 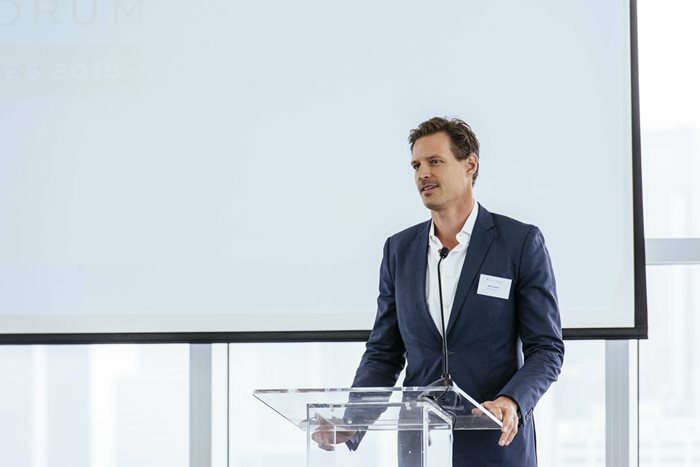 Bluestone Lane CEO, Nick Stone, took the stage to discuss the remarkable ascent of his New York-headquartered business. Stone is living proof that big business can deliver boutique concepts at scale. The former investment banker turned coffee shop CEO defined boutique at scale as “experience instead of transaction”, an aggregation of specialty coffee principles delivered in an enhanced, holistic way. But to make boutique a business success, Stone urged that coffee businesses must delicately balance tailored experiences and brand uniformity. Retaining industry talent was the focus of Seven Miles Coffee Roasters CEO, Jenny Willits, who urged delegates to “have the courage to be kind” as employers. Echoing forum sentiment that the industry must adapt to inevitable changes in industry, consumers and workforces, Willits said only those firms that could unite their efforts behind a clear purpose could future against proof digital disruption and build productive, valuable workforces. This sentiment was echoed by Zayde Naquib, co-founder of LA-based coffee shop, Bar Nine, who spoke on the importance of ‘leading with your values’. Heather Perry, VP and Director of Training & Consulting at Klatch Coffee, gave an energising talk on the virtues of diversification in coffee shop menus. Confronting the stiff reality that coffee sales have slim margins, Perry said avocado toast, mocktails and new, innovative products like shrubs drinking vinegar (apparently all the rage in certain LA circles), could be the perfect sales ticket pick-me-ups. Turning to Asia’s burgeoning markets, China’s massive growth potential was covered by Esteban Liang, Managing Director, China, Costa Coffee. His presentation revolved around the ‘New Retail’ landscape being forged by Chinese digital giants Baido, AliBaba and Ten Cents in China. The digitization of commerce, he highlighted, was reinvigorating decline among bricks-and-mortar offerings and was central to Costa’s loyalty schemes and digital ordering tools. “When you manage thousands of stores the biggest challenge is consistency,” said Liang, echoing Stone’s earlier comments on the challenges of delivering boutique at scale. 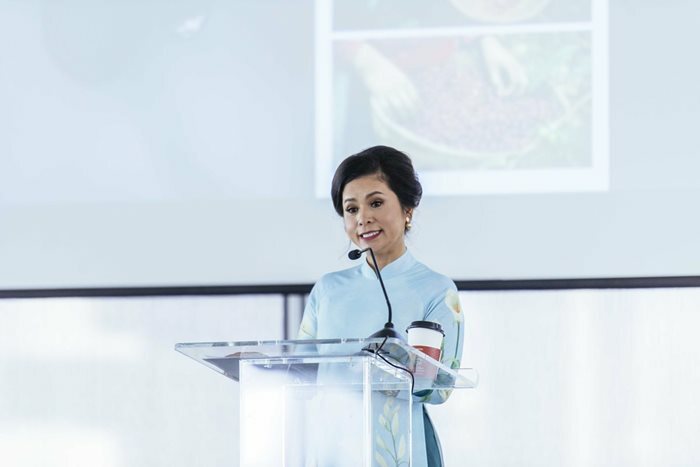 In Vietnam, Le Hoang Diep Thao, CEO, Trung Nguyen International, said her King Coffee branded had championed the authenticity of her nation’s coffee culture. Thao charted the brand’s rapid ascent from a single Ho Chi Minh City site in 1998 to more than 500 in the city just a year later. Through championing Vietnamese coffee values, including their unique Robusta crops and brewing techniques Trung Nguyen International, had, said Thao, managed to compete with international giants and become a household name among Vietnamese consumers across commodity coffee, specialty coffee and the country’s café innovation. In Korea, there are nearly 600 people for every coffee shop revealed Hoonshik Sung, Co-founder & Brand Director, Bean Brothers. Café culture forms the bedrock of socialising for many young consumers and while the sector is booming, competition to develop the next popular trend is fierce. That’s why in a country where pre-formulated instant coffee is still hugely popular, Bean Brothers is generating consumer awareness – and appetite – for specialty concepts. With their brand motto; “your personal coffee guide”, the specialty chain presents two new single origin beans every month from their Seoul roastery, which produce Ins up to seven tonnes of coffee a month. 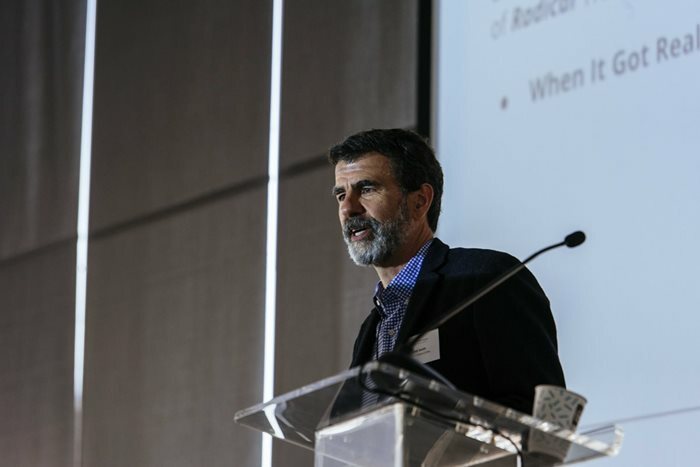 On sustainability, Brett Smith, President, Counter Culture Coffee, asked delegates to be frank about the challenges facing the coffee industry. Recounting his traditional business background as a commercial banker, Smith revealed his initial reluctance to publish his firm’s supply chain methodology. But far from relinquishing their competitive advantage, Counter Culture’s first transparency report fostered accountability across buying practices, cup scores, costs and carbon footprint. Today the business is growing from strength to strength, with Smith revealing the decision had been “hugely powerful” in allowing them to deliver better quality products and build secure supply chains. “Scaling craft in a human way” was the topic of a fascinating talk by Chris Jordan, COO, Coffee Manufactory. Highlighting what he called ‘certification fatigue’, Chris spoke on how technology is empowering greater supply chain scrutiny and presented a livestream discussion with one of his producers in Colombia. You can read Jordan’s full story here. Closing the day’s presentations from a different perspective, LOT office for architecture Founder, Leonidas Trampoukis, said coffee played a crucial role in normalising different cultures coming together. With coffee becoming a leading commercial space in the business world, Trampoukis explored how to extract the most value from coffee’s cultural capital through innovative, inspiring and seamlessly functional coffee shop environments. The 4th annual CEO Forum took place on November 8 at the South Park Center, Los Angeles.